Snack on marshmallow ghosts while talking about the discussion questions in individual table groups. 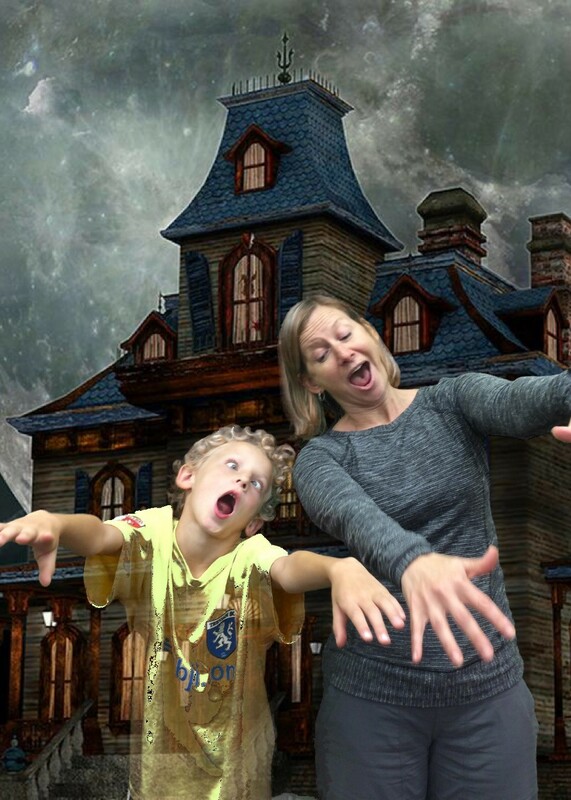 Use a green screen app on the iPads to make pictures of the kids and parents in front of a haunted house. This was super fun. We had six families. 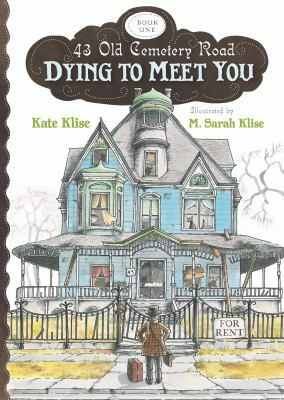 Most of them liked the book, although one of the parents had read a different Kate Klise book with one of her kids and liked that one better, so she was a little bit disappointed in the story. 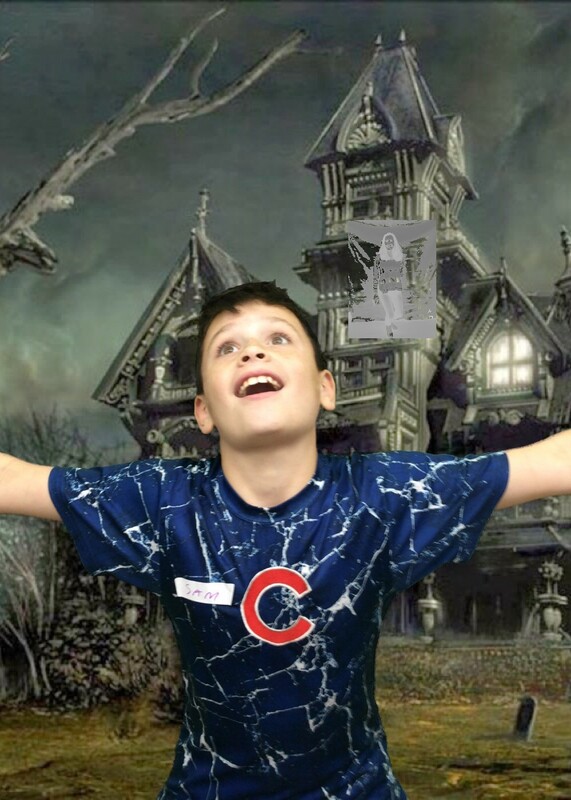 For the activity, I set up two green screens, so no one had to wait long to take their picture, and each family had an iPad. The adults probably wanted more instruction than I gave them on the iPad app. I think if we’d just had kids, they would have played around more. Overall, good times. This story is told through letters, newspaper articles, and bits of stories. What did you like or dislike about the style of this book? Would you rather have seen the story told through traditional dialogue and narration? Why or why not? Olive finally achieved her dream of becoming a published author. Do you have one goal that you really want to accomplish in your lifetime? Names of characters in 43 Old Cemetery Road often describe something about each character’s personality or job. Come up with a name for your son or parent that tells something about them. It can be funny or serious. Ignatius has not published a book in a long time, but he refuses to give up on his plans to write another one. If you were Ignatius, would you tell your publisher what was really going on? Why or why not? Seymour’s parents left him alone so they could continue their work. Do you think he is better off without them? What are the advantages and disadvantages of Seymour’s unusual living situation? Ignatius writes children’s books, but doesn’t seem to really know or like children. What are some things you would tell him about kids that would help him write better books? Ignatius rents the summer house thinking it will be a quiet place to write, but it turns out to be totally different than he expected. Have you ever thought something would be one way, but it turned out to be the complete opposite? Ignatius and Seymour come up with a list of rules to help them live together. What rules would be important for you if you had to live with a stranger? Olive has lots of ways to be disruptive, and also lots of ways to be helpful. 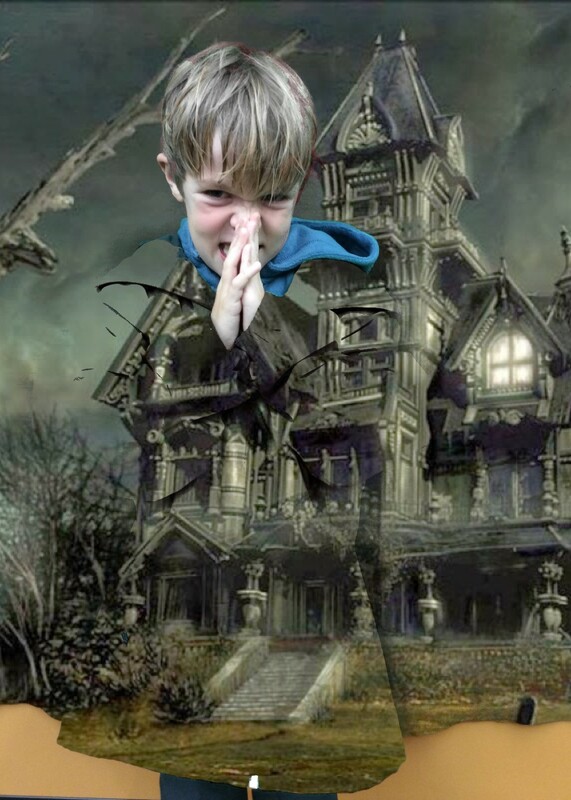 If you were a ghost, what tricks would you play? How would you help?